As soon as the Internet marketing world gets comfortable with the way things are, Google shakes it up. Google’s most recent update significantly effects how businesses are displayed in Google Maps local search results. 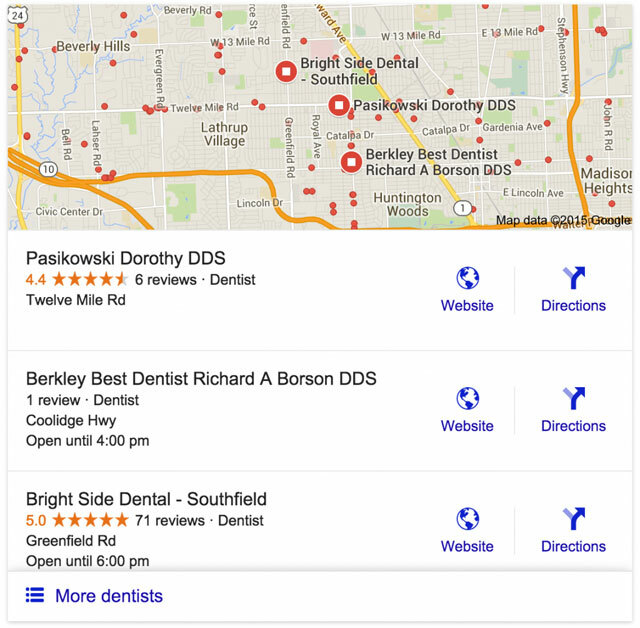 Your dental practice can appear in local search results when you have an optimized Google Business listing (done for you if you’re a Smile Marketing client) and this listing is often a primary source of qualified website traffic. 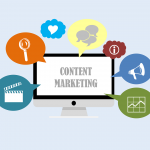 Below, we breakdown everything you need to know about the August 6th, 2015 update, how it will affect your rankings, and what you can do to prevent a dip in your website traffic and, ultimately, new patients. Before the update, a searcher in a populated jurisdiction would see 7 map results for their query, known in the SEO world as the “7-pack.” Following the update, the 7-pack turned into a 3-pack, and you guessed it, just 3 listings are now displayed in Google map results. Some are even referring to this new, compact set of results as the “snack pack”. However, when a user clicks on any of the three listings, they’ll be auto-directed to a secondary page which showcases up to 20 results per page—a great deal more than what was featured prior to the update. Unless searching from a mobile device, Google users will not see an initial phone number associated with the new snack pack listings unless the result is clicked. More so, Google has removed addresses from map results, providing instead only the street name. Like the phone number, the searcher can still access the exact address but will need to click through to the website or map listing. Listing flyouts, also known as the local knowledge panel (pictured below), have also undergone revisions in the new update. Even though Google has been stripping them down for quite some time, the flyouts have officially been moved. Before, a user had the ability to hover over a search result and a “card” containing the website, phone number and other details would pop up. To access the information now, a user must click on the listing to access the secondary local page. 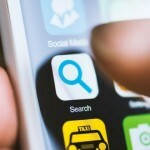 Several smaller changes also went into effect in the rollout, including the addition of store or practice hours, the removal of Google+ profile links, and the removal of the term “Google Reviews” from the star rating. While the update certainly caught many business owners off guard, it’s not the end for your listing with Google maps. Cutting the initial page one listings from 7 to 3 is quite a jump, but keep in mind that now when any listing is clicked, 20 more are revealed. This is also a great time to check out the number of reviews you have on Google, as this could potentially influence ranking results. 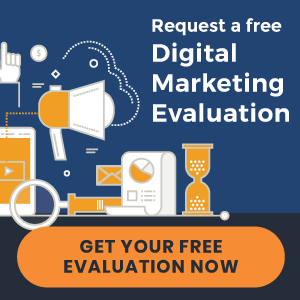 Regardless, reviews are a form of social proof—the more positive reviews you have next to your listing, the more likely you are to stand out to potential new patients. With 20 results now grouped together, it’s more important than ever to grow your star rating. 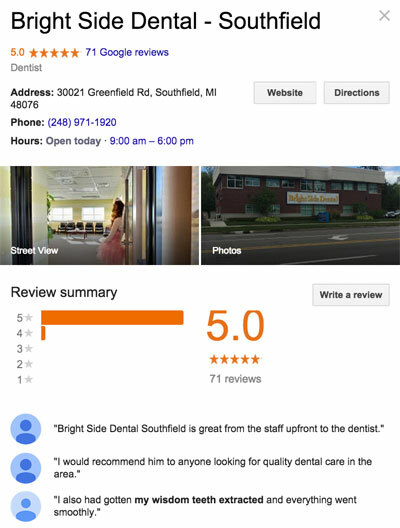 Remember, best way to get new reviews is to actively ask your happy patients. The gradual, steady appearance of new reviews helps them to appear natural, and possibly improve your ranking. 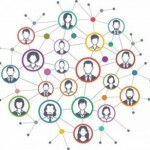 Looking to complement your organic traffic with paid traffic? 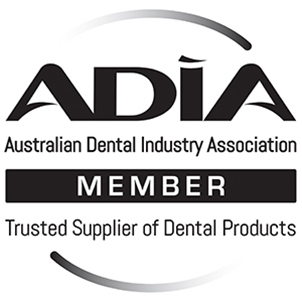 Learn more about AdWords for dentists.